In case you missed it, the Miss America pageant was last night. The introductions are always fun to watch. I loved how within the first minute or two, farming and milk were mentioned several times. For example, Miss Delaware alerted us to the fact that milk is the official beverage of her state, while several other gals announced they were farmers' daughters. Random dairy fact of the day: Milk is actually the state beverage of a lot of states! Check out the list here. Some people have interesting ideas about what a farmer or farmer's family should look like. The images of old homemade dresses and overalls, a straw hat and flannel shirt are outdated images (my grandpa doesn't even wear overalls! ), but still exist in so many people's minds. I was glad to see these ladies show everyone that farmers are just like everyone else. So what does the Miss America pageant have to do with farming? First, as I mentioned, some of the contestants grew up on farms and are proud to let America know that. Second, the winner and all the contestants have a platform for which they advocate. Dairy Princess friends, does this sound familiar? While the dairy industry does not call its many Dairy Princess contests/coronations "beauty pageants," contestants also advocate for a great cause. However, instead of each contestant having a completely different focus, everyone is advocating for the dairy industry. They usually do take a different angle and approach to this task, though. The focus of my Dairy Princess reign was promoting the "3 a day of dairy" campaign. This means adding dairy to meals, recipes and snacks throughout the day to ensure you get enough calcium, potassium and seven other nutrients milk and dairy products provide. 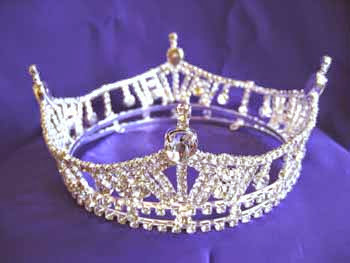 There is no singing/dancing/talent required in Dairy Princess contests. Instead, we gave presentations about dairy farming and dairy nutrition (sometimes tailored to a specific audience). Both require several wardrobe changes (atleast at Washington's state contest). However, the evening coronation only requires an evening gown, not the many outfits seen during last night's Miss America competition. Sorry, guys, no swimsuit contest in Dairy Princess contests. The gals in both become good friends. It's an excellent bonding experience, especially with others that share your passion for the dairy industry. At the Washington State Dairy Princess contest, each contestant gives a short speech (about :60) about her county. This is similar to the opening comments about Miss America contestants' states. Both experiences will change your life. Advocating for a cause, whether it be the dairy industry or another industry/organization, is empowering and does make a difference. Sometimes, anything having Queen, Princess or Miss in the title gets a bad name, but these young ladies do make a difference and usually have a lot of fun in the process. Since Chris Harrison is one of the hosts, it's expected that he will make atleast one comment about The Bachelor or the new lead, Chris, a farmer from Iowa. That will also be an excellent platform to inform America (and especially the gals on the show!) about what farm life is really like and about agriculture as a whole. So many great opportunities to start conversations about modern farming, I love it! Every day opportunities really are the best ways to inform others about our awesome industry.